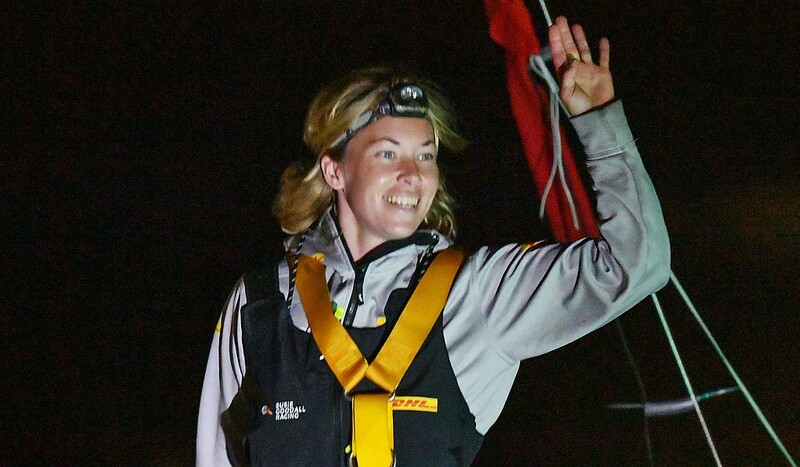 British yachtswoman Susie Goodall was pitchpoled and dismasted in the Southern Ocean some 2,000 miles west of Cape Horn, Wednesday. In her last text message to Race Control received before the dismastig at 08:29 UTC, she reported . . . In a subsequent message, received at 12:23 UTC, she wrote . . .
DISMASTED. HULL OK. NO FORM OF JURY RIG, TOTAL LOSS Position: 45′ 27.787 S 122′ 23.537 W.
“I have been dismasted. Thought I had holed the hull because the boat filled with water, but the hull is NOT holed. The hull is OK. Speaking with emotion, but sounding very much in control of her situation, Susie also confirmed that she had secured all hatches, portholes and safety equipment, and did NOT need immediate assistance. The Chilean Authorities have contacted a ship 480 miles SW of Goodall’s position and requested assistance. Her Captain expects to take two days to reach the area.